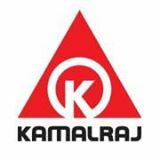 A powerful foundation being the manifestation of our mission, we at KAMALRAJ ASSOCIATES have erected numerous icons of vigor, since our inception on from DECEMBER 2004. With an uncompromising attitude in terms of quality control procedures, checks at all levels from building materials and construction methodologies to quality of skilled man power used, we offer you a niche of edifices epitomizing might. A constant focus on delivering dreams inspires us to set benchmarks in the arenas of customer delight which is clearly visible in our towers of sophistication and class. Where everything changes at lightening speeds, keeping pace is vital, integrating technologies with ideas and bringing synergies in the business process is important to spread wings and to go places. In the globalize market scenario easy accessibility, better connectivity and a sound contingency management gain paramount importance.